Aaqib Sayed | TPL Trakker Ltd.
Mr. Aaqib Sayed is a Senior Marketing & Advertising Professional with a proven record of accomplishment in planning and leading comprehensive marketing strategies in support of business goals and objectives. 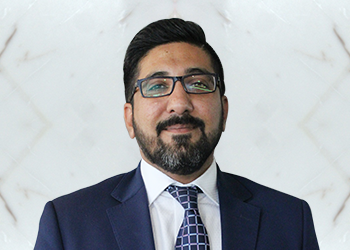 Mr. Sayed has 14+ years of Management experience in multiple industries such as FMCG, Retail, Social Marketing, Publishing, Internet, E Commerce and Advertising. He has played key strategic roles directing the creation of marketing communications and steering the execution of marketing programs for both offline & online brands in various industries. Mr. Sayed is a Chartered Marketer from Chartered Institute of Marketing (CIM). He’s a Digital Media Sales Certified (DMSC) professional from Interactive Advertising Bureau (IAB) along with being a ‘Certified Professional Marketer – CPM Asia’ from Asian Marketing Federation (AMF). He holds an Undergraduate degree in Pharmaceutical Sciences (B-Pharmacy) along with a Masters of Business Administration (MBA) in Marketing. Prior to TPL Corp, Mr. Sayed had served at Dawn as Head of Digital Business, at OLX Inc. in the capacity of Country Manager – Business Development, at IBL Group as Chief Marketing Officer (CMO) and at JWT as Client Services Director. He has been associated with 10xC – Startup Accelerator & Seed Fund as a Mentor and as Adjunct Faculty Member at Indus Valley School of Art and Architecture (IVS).